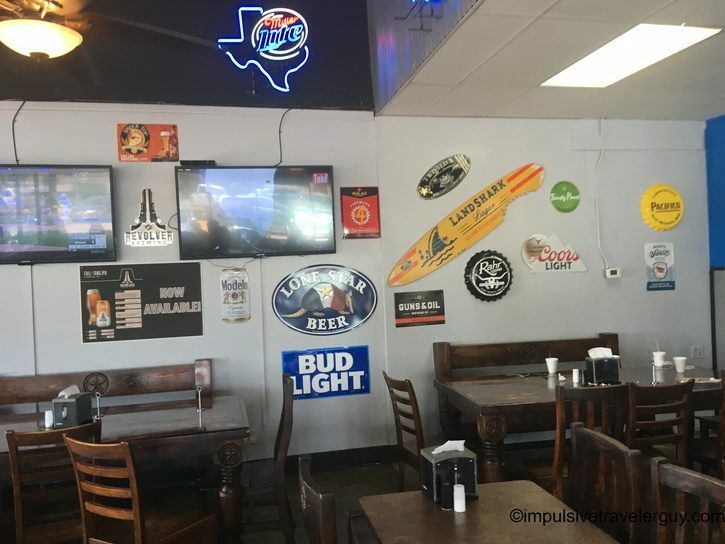 I had previously written about the smallest Moonie’s Burger House in Austin. This was within walking distance of my old apartment. 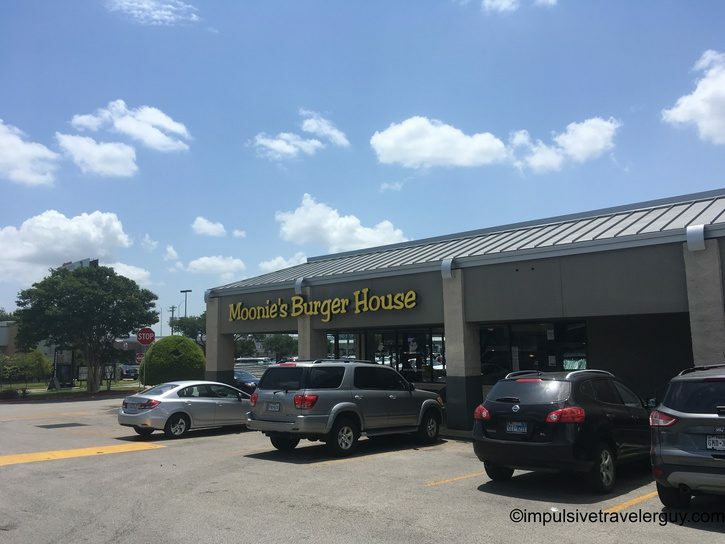 Ironically, after doing the yearly Austin move, I found out another Moonie’s was nearby. I knew I had to stop in and check it out. 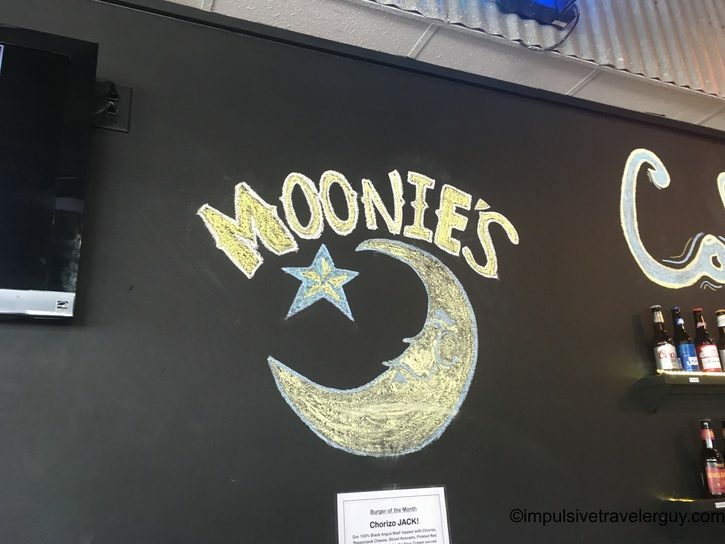 In my opinion, Moonie’s makes some of the best burgers in Austin. The inside was much larger than the one on Gracy Farms. 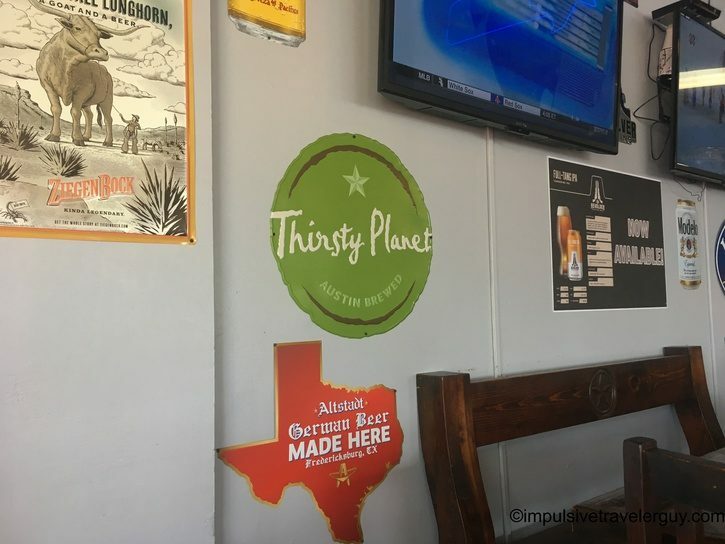 There’s also a bunch of cool beer signs of local Austin brews. 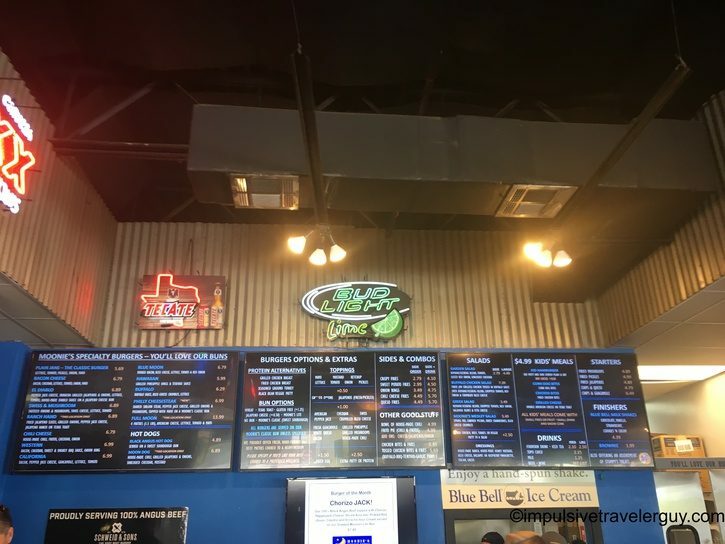 The menu has a huge selection and every choice is tempting. I settled for the Ranch Hand with queso fries. 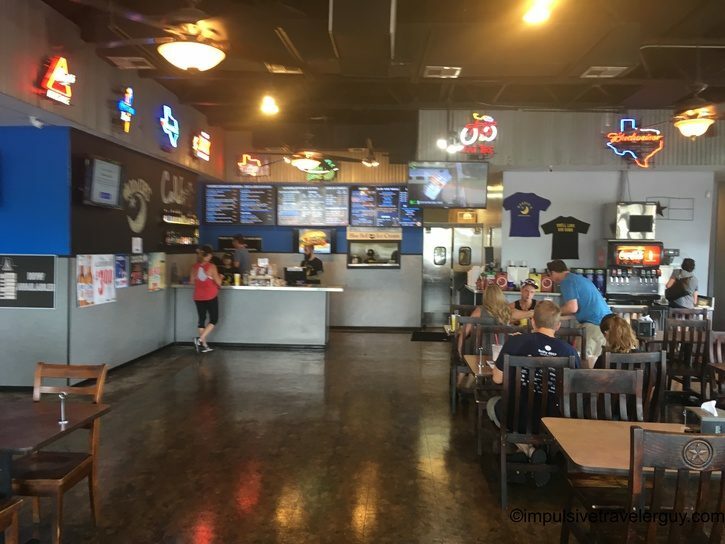 As always, the burger was great! 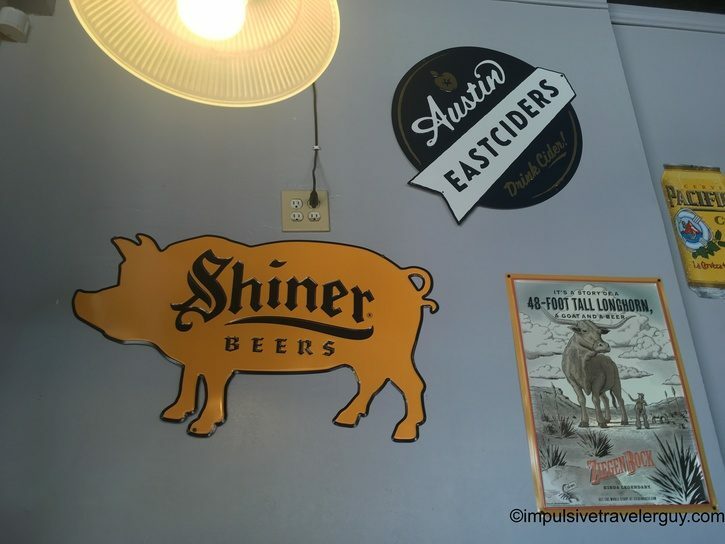 As I said earlier, it’s one of the best places to get a burger in Austin. The burger is perfectly juicy. The Ranch Hand had the ideal amount of jalapeños and the taste balanced well. 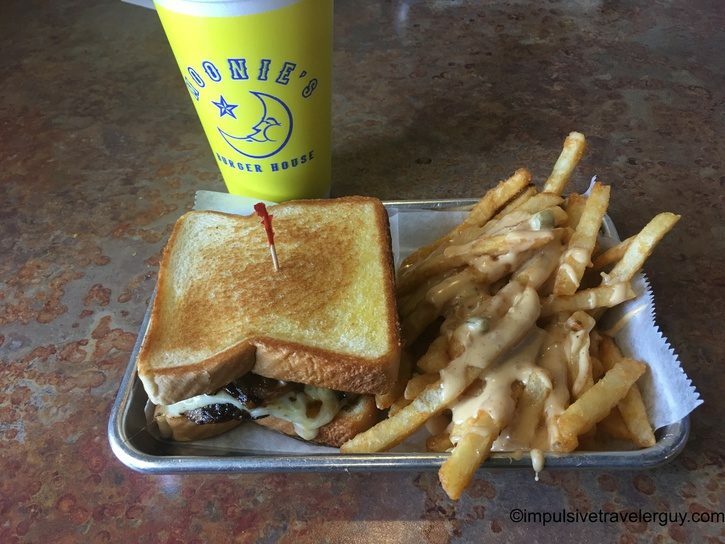 The fries are out of this world! I don’t know what they do to get their crisp, but it’s perfect. I really don’t think you can cook fries any better or crispier. If I were Moonie’s, I’d think about patenting the process! To throw a bunch of queso on top of them was a combination made in heaven! While eating, I checked out the wifi. 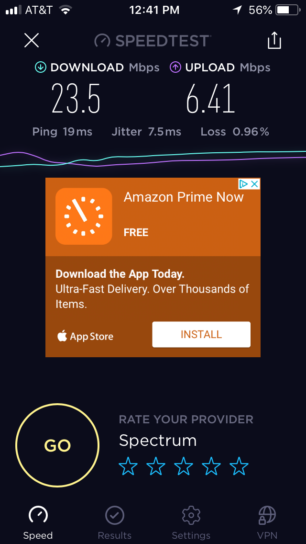 The speeds were pretty good for free wifi. If you can’t tell, I really like Moonie’s Burger House. 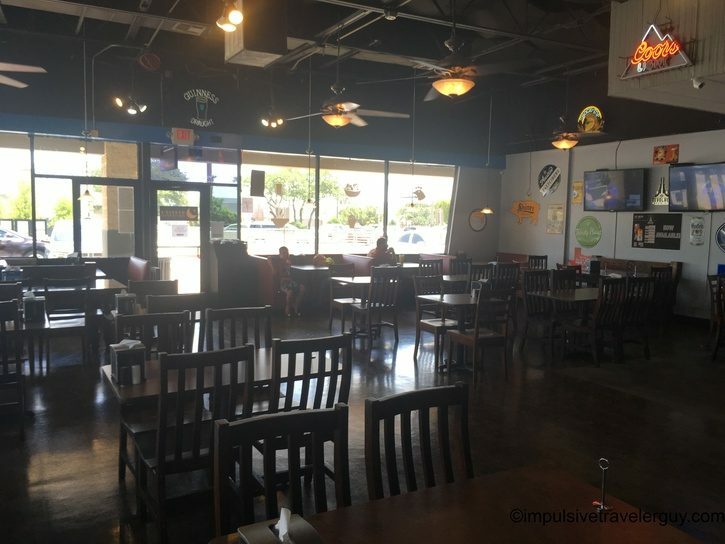 Every single time I’ve went there, I’ve got an awesome burger and fries. 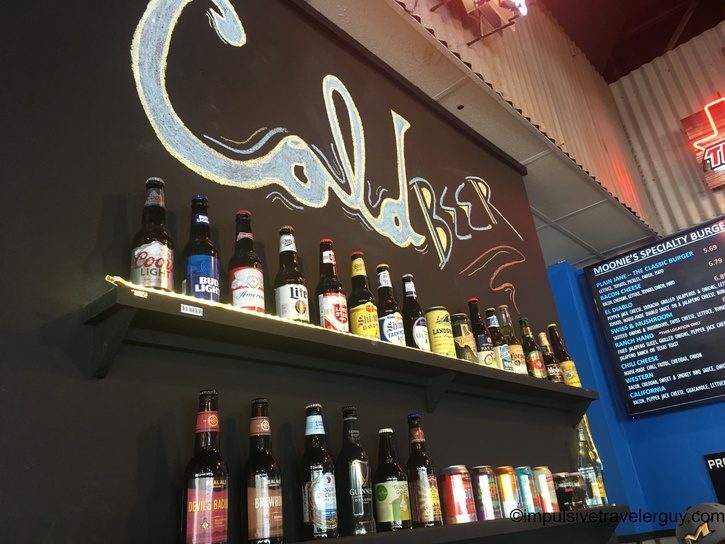 I love the fact that it’s local and local to the point I’ve been within walking distance of one. I definitely know I’ll be back!